County Marquees is an award-winning, family-run company who have been helping people create memorable marquee events for over 30 years. In that time, we’ve dedicated our expertise to countless couples and businesses, shaping unforgettable days with the perfect marquees to ‘wow’ guests and clients. You’ll find us ready to help with your special day in South Wales, Bristol, Bath, Hereford, Gloucester, Chippenham, and the South West of England. Ready for your own momentous event? Let’s chat on 0800 9888 041. If you’re looking for ideas for your perfect day, you’ll want to join us at our Spring Showcase on 29th and 30th March 2019. You’ll see fully-styled marquees, test wedding furniture, look over lighting, and even meet the people who will help to make your day so special, from florists and caterers to photographers and more. There’s so much more to the wedding marquee of your dreams than the canvas, poles, and pegs. There are different marquee styles to make your day unique, whether you’re looking for something tastefully traditional or something a little different. You’ll also have your own dedicated event manager to help you create your perfect day, no matter what you’ve been dreaming of. With so many different options available for your event, our dedicated event managers are waiting to help you make the most of your marquee occasion. We’re no strangers to crafting the perfect marquee for on-location filming. Whether it’s for an elegant wedding scene or to house your on-site staff or catering, we’re known for our reliability and quality. 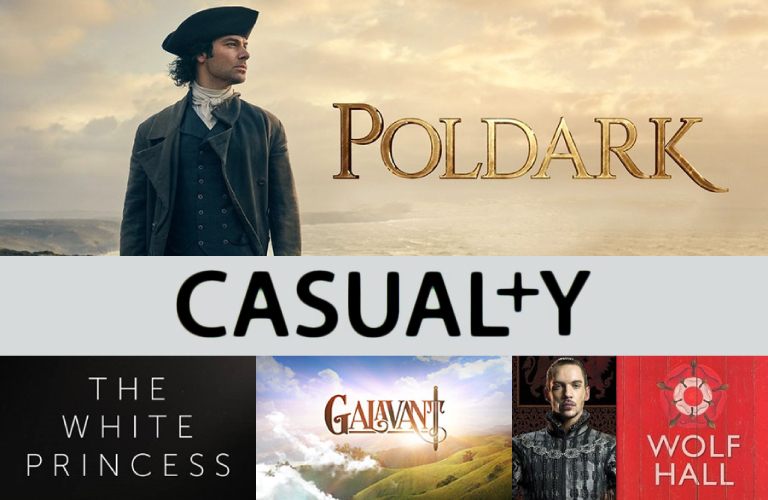 We’ve provided marquees for well-known productions like Poldark, Wolf Hall, Casualty, and Disney's Galavant.